We are very pleased to offer the full range of CBD Crew cannabis seeds at dope-seeds.com. 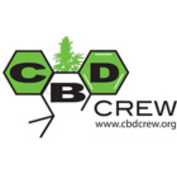 CBD crew is a seedbank which is focused on the development of pure medical marijuana strains with high levels of CBD and low levels of THC. This seedbank was formed in the summer of 2009 by Shantibaba (Mr Nice Seeds), and Jaime (Resin Seeds) who experimented with bringing the high CBD content of Cannatonic to some of the legendary old school genetics of the Mr Nice Seed Bank. The CBD Crew’s target was to achieve an optimum ratio of 1:1 THC:CBD, which they have now done with all the strains they offer. The reason for focusing breeding efforts on Cannabidiol or CBD (one of the more important cannabinoids found in cannabis) is due to its beneficial properties. Medically it has been shown to reduce convulsion, inflammation, anxiety, and nausea, as well as inhibit cancer cell growth.